Flock Off! 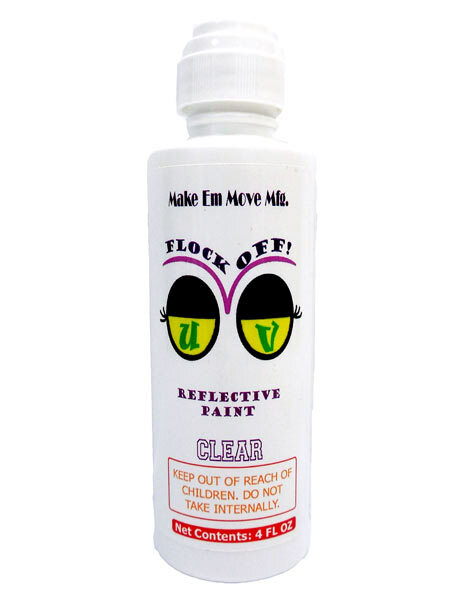 is a visually intense UV reflective paint that reflects the sun's ultraviolet rays. The brighter the sun the more effective this visual bird deterrent becomes. Birds see in ultraviolet colors just like humans. They will instinctively avoid landing on UV treated surfaces because they see it as a potential threat. This is one of the easiest perch and roost inhibitors to apply to landing surfaces. We highly recommend using UV reflective paint in conjunction with all other bird deterrent products as part of a complete bird control management program. 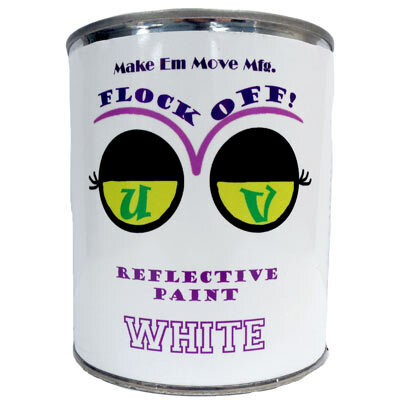 Visually intense reflective paint that birds won't land on. 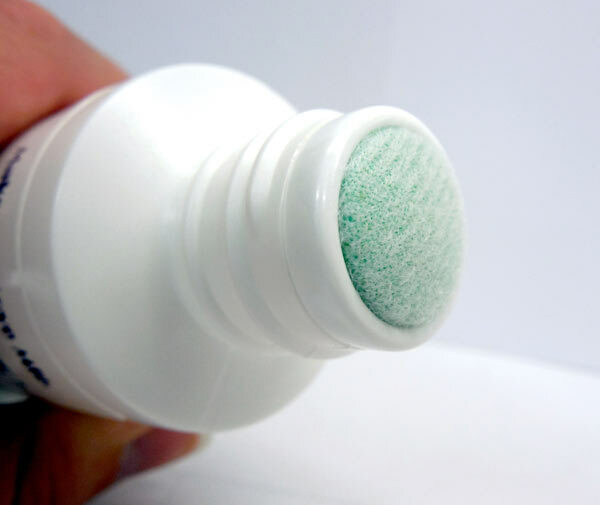 Extremely effective visual roost inhibitor can be used anywhere. Ideal bird control solution to protect birds from flying into structures! 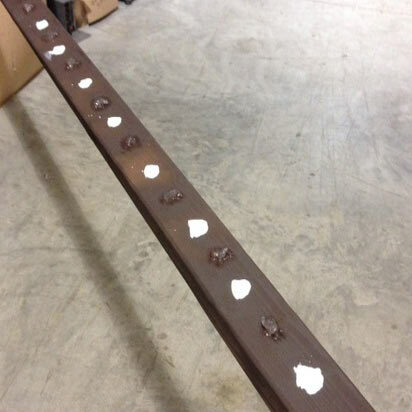 Latex paint is easy to apply and clean up with soap and water. Apply with brush or roller. Simply stripe, dab or dot the surface. Combine with other bird deterrents for the most effective bird control system. Two colors: Bright White is preferable because it is the most visually intense. Use Clear for discreet applications. Available in 4 oz. Dauber, Quart and Gallon size. As with all paints, we recommmend testing a small area first. All birds see in ultraviolet color. Flock Off! is effective against all birds. Apply to any potential landing or perching spot for birds. Apply to structures like towers, solar panels, buildings, oil fields, boats, wind turbines, etc. to prevent birds from landing and from potential collision.